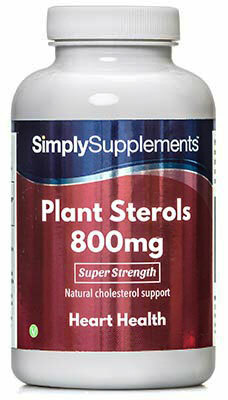 Resveratrol is a polyphenolic compound found in red grapes. Resveratrol has received a large amount of attention recently in both scientific investigations and the media because of its ability to support the heart. 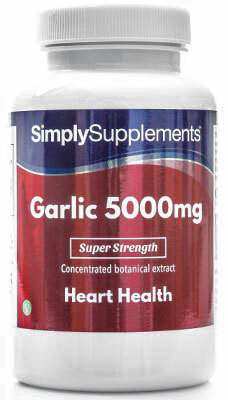 As you can imagine, this has seen an increased desire for this exciting natural compound. However, achieving a notable intake of resveratrol often means alcohol and calories are also consumed. 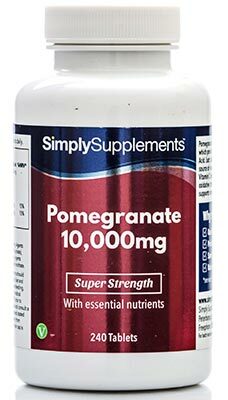 Due to this, Simply Supplements have formulated this high-quality Resveratrol supplement to provide you with this sought after nutrient without the usually associated alcohol and calorie content. 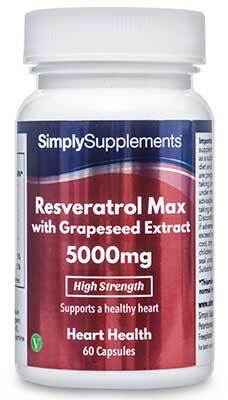 Simply Supplements Resveratrol Max 5,000mg capsules contain some of the finest ingredients possible thanks to industry-leading suppliers who work tirelessly to ensure quality and consistency is guaranteed in every batch. 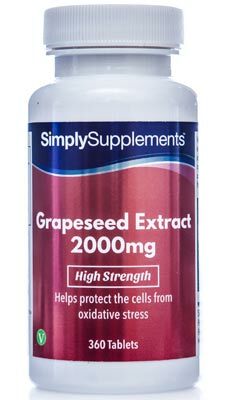 To complement the resveratrol content, each capsule also contains extracts of green tea and grapeseed to provide comprehensive botanical support. Simply Supplements have gone to extra lengths to further refine and promote the benefits of our Resveratrol capsules by employing a state-of-the-art manufacturing process. All ingredients are purified and distilled on a molecular level in order to maximise the potential effectiveness. Fully trained professionals with decades of experience creating supplements are on hand at every stage of the manufacturing process to perform stringent and thorough quality control checks, to ensure each capsule is of the highest quality before being foil-sealed to lock in the freshness of the ingredients for customers. Simply Supplements manufacture our Resveratrol capsules in the UK to strict Good Manufacturing Practice (GMP) standards. 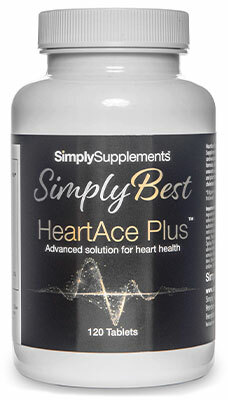 Ingredients: Grape Seed Extract, Resveratrol, Capsule Shell (Hypromellose), Green Tea Extract, Bulking Agent (Microcrystalline Cellulose), Vitamin C (Ascorbic Acid), Anti-Caking Agents (Magnesium Stearate, Silica), Thiamine Mononitrate (Vitamin B1).